Danny McBride says more is better or something. Microsoft’s Xbox Game Pass is now available for all as of today. The service launched early last month for Xbox Live Gold members on Xbox One with a free 14 day trial. Now all users can try the program for $9.99/£7.99/€9.99 per month or try it for 14 days with the same free trial. 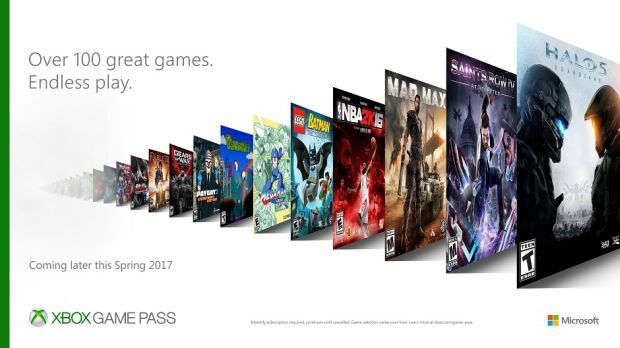 Xbox Game Pass is essentially a Netflix-like subscription service where users can download from a library of +100 Xbox One and Xbox 360 games. This includes games like Halo 5: Guardians, Gears of War: Ultimate Edition and much more. Furthermore, games will be cycled out on a monthly basis. If you decide you like a title and want to keep it permanently, then Xbox Game Pass will offer a 20 percent discount on Xbox One title when it’s on Game Pass and 10 percent for an DLC for the game. Check out the full list of games here. Keep in mind that Xbox Live Gold is not required for the service though any titles that support multiplayer will need it.